EMCORE Corporation, a provider of Mixed-Signal Optics products for communication and defense systems, has been awarded a long-term contract valued at over $18 million over a 4-year period to supply high-performance Fiber Optic Gyroscope (FOG) modules to Raytheon for use in airborne optical targeting systems. EMCORE has previously delivered over 1,000 units of its custom designed, closed-loop, single-axis FOGs to Raytheon and will ship additional units this year and over the remaining term of the agreement. 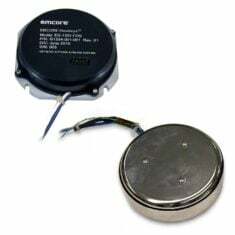 The FOG modules to be delivered are EMCORE’s tethered gyros with separate electronics and sensor modules to accommodate a wide variety of installation parameters. The performance specifications of these FOGs are ideal for platform stabilization in camera systems used for optical targeting in aircraft, Unmanned Aerial Vehicles (UAVs) and gun systems.